This week we return to Paonia, CO and I’m excited to introduce you to Elisabeth Delehaunty, a clothing designer from North Fork Valley Creative District, Colorado Certified. 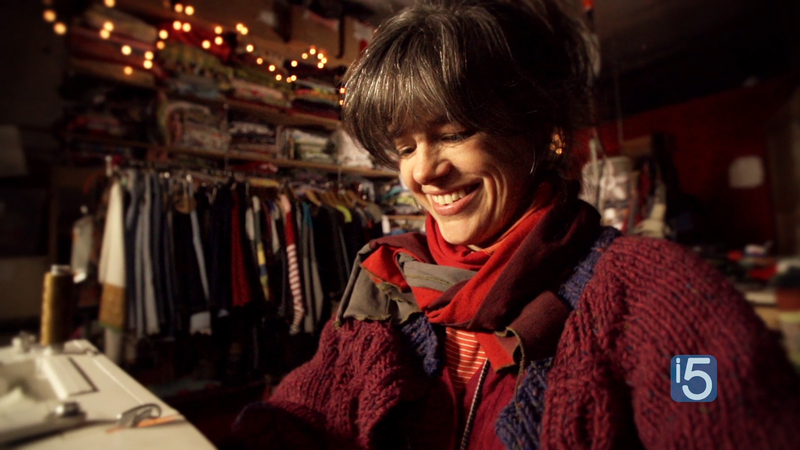 For Elisabeth, designing clothes is about making stuff. She likes the hands on nature of it – starting with whatever she wants to make, and she just keeps making versions until its where she wants it to be. Cutting, sewing, ripping it out – it’s being able to make something with her hands even when it’s in the design phase. Do you love to make stuff with your hands? Please consider sharing your thoughts in the comments below! Like many artistic types, designer/recycler Elisabeth Delehaunty has been making stuff since she was a kid. Since 1996, it’s been mostly clothing and accessories under the label Elisabethan. A thrift store hound at heart, she loves unearthing treasure that other people have discarded, and she is constantly astounded at the amount of stuff we as a society buy and then cast off. But as a maker, it’s tricky to satisfy the need to create with out adding to that collective clutter. Elisabethan is the solution Delehaunty has come up with to deal with this love/hate relationship with stuff – how to make something “new” that isn’t “more.” The Elisabethan studio in Paonia, Colorado, works year round to produce Delehaunty’s lively, colorful designs – tops, skirts, dresses, accessories – made entirely from thousands (and thousands) of pounds of post-consumer clothing. Elisabethan is sold in boutiques & galleries around the country and at elisabethan.com, and Delehaunty exhibits at several juried art fairs each year. 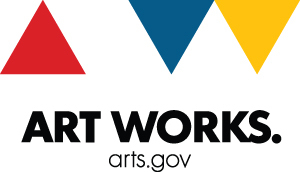 This episode of Beyond the Gallery is made possible by Colorado Creative Industries. 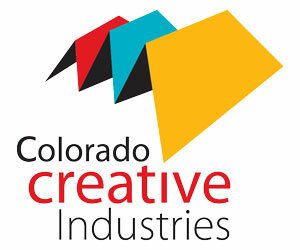 A division of the Colorado Office of Economic Development & International Trade, Colorado Creative Industries sees a future where Colorado is a premiere “Creative Economy.” CCI strives to create a strong brand identity, a Top 10 reputation, and create significant and sustained investment in the creative sector where creative entrepreneurs and enterprises will flourish.